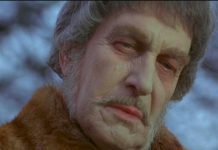 When you go and examine the royal family of the horror, those actors and actresses that not only help to establish the genre, but set the standards by which we judge it, Vincent Price would be at the top of the list. 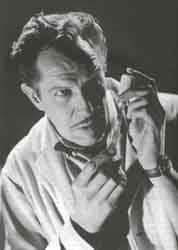 My memories of the Vincent Price echo back to the beginning days of my metamorphism into a horror fan and hardly would a Saturday afternoons go by without my weekly injection of such classic horror TV as “Creature Double Feature” or “Dr. Shock”. On many occasions, the “Kings of Horror” (Price, Cushing, Lee, Lugosi, Chaney, and Karloff) would serve as guides propelling me down a path of never-ending nightmares and it was through them that the very essence of my addiction was born. For without them, I and probably even you would not be where we are today. Long live these “Masters of the Macabre”!!!! At the center of these wonderful memories and terrifying dreams was Vincent Price. Oh, the joy that was anticipation I felt when I watch one of his film. Although he more often than not played the villain, I never found myself rooting against him. He approached his craft much in the same way he approached his character with intelligence and charm, rather than force or fear. He was the thinking man’s epitome of evil and if life had dealt me a hand of walking on the dark side, I most certainly would have modeled myself after the abominable Dr. Phibes or Fredrick Loren in the “House on Haunted Hill“. During the early to mid-60’s when Hammer ruled the horror scene with its’ classic remakes of “Frankenstein“, “Dracula“, and “The Mummy” over here in the States, Roger Corman, Samuel Arkoff, and AIP began dabbling in the works of Edgar Allen Poe. With Gothic horror at a all-time high, the trick was trying to find someone who could bring to life the power of Poe’s writing. It hadn’t been since the early years of Lugosi and Karloff that Hollywood felt secure and confidence enough to undertake a journey into the world of Poe, so Price was brought to helm the leads in many of these classic retellings. For those looking for a dose of Poe ala Vincent Price, I highly recommend “The Fall of the House of Usher”, The Pit and the Pendulum”, “The Raven”, and the “Witchfinder General”. There probably aren’t any Price films I wouldn’t recommend to visitors of my site, although my foray into his full catalog of work is limited to the horror entries, but that more than enough tasty morsel to keep any budding Price fan busy for a while. Those looking for a place to starting point, whether you are a new fan or a golden oldie like myself, I would recommend each of the film pictured below (we do have full reviews of them, just click on the box cover), as well as, “The Tingler”, “Theater of Blood”, “The Fly”,”The House of Wax, and ” Witchfinder General (aka “The Conqueror Worm)”, just to name a few. So be on you way into the magically world of Vincent Price. Since many of his family members at had either attended the prestigious university of Yale, or had married into Yale families, it was not surprising that the young Vincent Price ended up there as well. Graduating in 1933, he took a minor job teaching art appreciation, coaching dramatics, and, believe it or not, occasionally driving a bus at the Riverdale School in New York. There, while playing one of the leads in a three-act production of “H.M.S. Pinafore”, he realized that his true calling in life would be the stage. Besides that, the teaching experience had taught him that – surprise – college had taught him very little! With a $900 tuition check from his parents, Price finally received a Masters Degree from the Cortauld Institute in London, slightly furthering his education. In 1935 he made his first professional appearance at the Gate Theatre in London, playing a policeman and judge in the play “Chicago”. His acting work was making him much happier than teaching anyways, now. Soon after, he was cast in the role of Prince Albert in Laurence Houseman’s “Victoria Regina”. Positive reviews ensued, and Price was even mistaken for a European! The role soon brought him to the attention of his fellow citizens back home, when he was asked to re-create the role of Albert in New York in an American version starring actress Helen Hayes. It made Price an instant star. “Victoria Regina” ran for several years, and he spent his spare time during the play’s “recesses” on other stage work, and occasionally screen tests. He then briefly joined Orson Wells’ Mercury Theatre, although left the company soon after. Price also found time to romance actress Barbara O’Neill. However, it was not to be; O’Neill wouldn’t commit, so Vincent ended up marrying actress Edith Barrett in a large ceremony on April 23, 1938, who would turn out to be his first of three wives. After signing a contract with Universal, Price made his screen debut in 1938 in “Service De Luxe”. After that, he went on to a number of showy parts in movies like James Whale’s “Green Hell”, “Laura”, “The Song of Bernadette”, “Hudson’s Bay”, “The House of Seven Gables” and “Brigham Young – Frontiersman” through the decade. 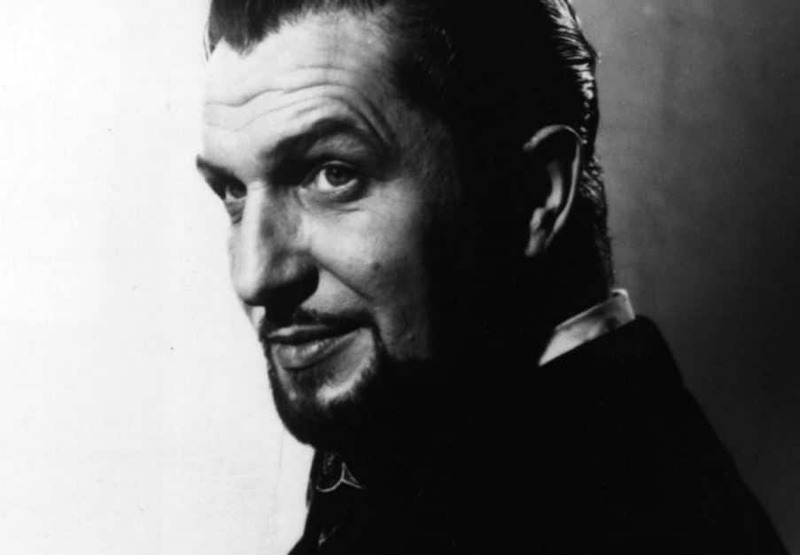 On August 30, 1940, he became the proud father of one Vincent Barrett Price. However, by 1944, he and Edith had become legally separated, and, after a brief reconciliation, they divorced in 1948. Only about a year later, he revealed that he was now married again, this time to costume designer Mary Grant. Together the two would found the Vincent Price Gallery on the campus of the East Los Angeles College in 1951. The gallery still operates even to this day, and has done much to introduce it’s founders’ love of art to new generations. The 1950’s brought Price to the attention of, of all things, the United States government and the House Committee on Un-American Activities. His affiliation with organizations that later turned out to have Communist influences, a snafu involving passports, and then the mysterious, unexplained dropping of him from a TV program called “Pantomime Quiz”, made him suspect to a scandal. He voluntarily requested a meeting with the FBI, where he firmly denied any knowledge or sympathy towards Communist parties or causes. The G-men found him to be candid and forthright, and confirmed his denial of any wrongdoing. Throughout the decade he appeared in a variety of films, television programs and plays, including “The Ten Commandments”, but in 1953 he accepted a role that would change the course of his career – “House of Wax”, about the sculptor Jarrod, hideously deformed in an act of arson, returning from supposed death for revenge. The picture was a huge success, and he followed it up with “The Mad Magician” the same year. 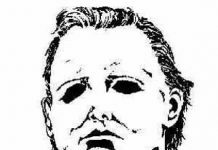 However, it wasn’t until later in the decade that he started making horror pictures in full-force. Beginning in 1958, he starred in five horror/sci-fi films in the space of just two years (in William Castle’s “House on Haunted Hill” and “The Tingler”, Fox’s “The Fly” and “Return of the Fly”, and “The Bat”). With that, he went on to star in the famous Edgar Alan Poe chillers of AIP, with such minor classics as “House of Usher”, “Pit and the Pendulum”, “The Raven” and “The Haunted Palace”, and in camp items like “Dr. Goldfoot and the Girl Bombs”. It was these films that stamped him as a “horror star”, even though he continued to accept a variety of different roles (of his total screen output, only about 30% is horror). On April 27, 1962, Price was blessed with a second child – a girl by the name of Mary Victoria. The birth seemed to rejuvenate him, but the quality of his film work was beginning to deteriorate. His contract with AIP prohibited him from horror pictures with other companies, and the studio was increasingly casting him in disappointments like “War-Gods of the Deep”, “Cry of the Banshee” and “Madhouse”. Despite creating some of his most memorable roles as Dr. Phibes in “The Abominable Dr. Phibes“, Edward Lionheart in “Theater of Blood” and Matthew Hopkins in “The Conqueror Worm”, he was getting rather fed up with not only American-International but with Hollywood itself. After taking refuge in England briefly, and when it was revealed that he was madly in love with actress Coral Browne, Mary Grant sued for divorce and got it. Shortly thereafter, her ex-husband wed Coral at a county courthouse. friend Roddy McDowall, and his ashes were scattered off the California coast.